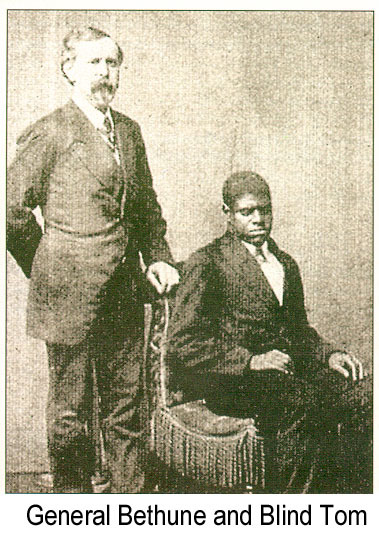 “Blind Tom” was a musical prodigy who was born in slavery in 1850, in the state of Georgia. He was a contemporary virtuoso of Liszt and Rubinstein, but one who seemed unaware of his skin color, his fame, or his success. Blind Tom was aware only of the sounds and music around him. He left a few compositions behind, but the man behind the virtuoso persona, Thomas Wiggins, is a puzzling character of the 19th century who left nothing to the world, not a word, not a note, only the memories of other people. Very little is known about this genius who performed in the White House in front of President James Buchanan. When Thomas was born, he was immediately sold to General James Neil Bethune, a lawyer from Georgia and an editor of a newspaper in which he openly advocated secession. The child was blind and demonstrated unusual behavior. He was interested in sounds, curious about them, eager to discover the diversity among them, especially those coming from the piano. He could imitate any animal with incredible accuracy, and apparently, he could repeat conversations 10 minutes long. 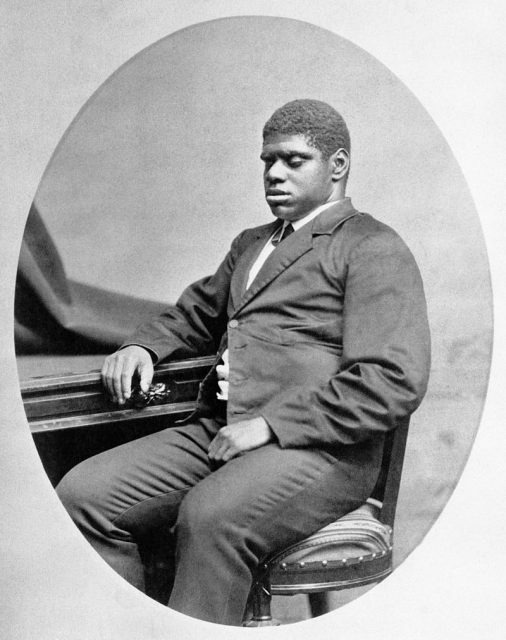 According to some sources, when Thomas got his hands on the piano for the first time, he was able to imitate the compositions he had heard from Bethune’s daughters, who were accomplished musicians. He was only four. When General Bethune recognized the boy’s outstanding skills, he allowed him to live in the house, and to play the piano as much as he pleased. The little prodigy could imitate the music performed by the Bethune girls without much of a struggle. Thomas Wiggins reportedly wrote his first composition, “The Rain Storm,” at the age of five, and at the age of six he was performing across Georgia. He was promoted as a musical prodigy: the blind boy, an untrained, naturally talented musician who could imitate any sounds he heard. But this was an overstatement, for some sources romanticize his abilities. Thomas could indeed capture easily the pieces with more recognizable harmony such as minstrel hits, waltzes, or a polkas, but even later, as a trained pianist, he struggled with complex concertos. At the age of eight, the boy already known as Blind Tom, was “loaned” to Perry Oliver, a concert promoter who toured with him throughout the U.S. 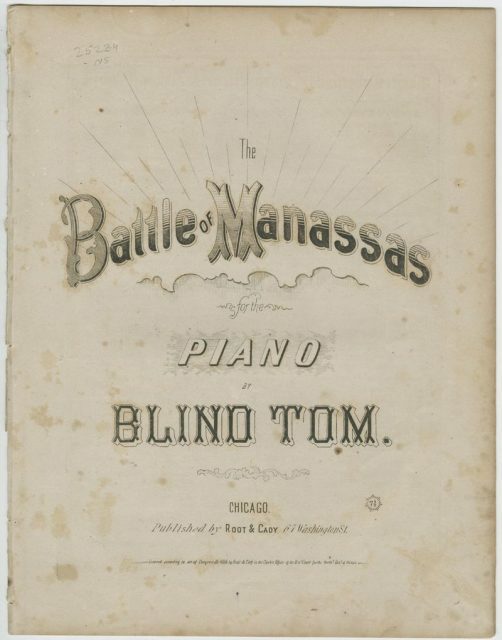 Performing four times a day, Blind Tom was earning up to $100,000 a year (equivalent to $1.5 million in 2004), more than any known pianist at the time. Sadly, the money went to his promoter and owner. He was still a slave, although reportedly unaware of it. Nor did his music and talent convert many of the racists. When Tom went on tour in the South with Bethune, many of his performances were canceled due to racist hostility. In 1860, Blind Tom became the first African-American to be invited to perform at the White House, in front of President James Buchanan. And later, President Abraham Lincoln seriously considered enlisting Tom in the Union’s service. Among his fans were John Steinbeck; Willa Cather, who once wrote about the boy, describing him as little more than a “human phonograph, a sort of animated memory, with sound producing power”; and Mark Twain, who regularly attended Tom’s performances, calling the boy an “angel” with a talent that could only come from supernatural forces. Cather wasn’t the only one who praised Tom for his memory rather than talent. Quite often people wrote of him as if he were fooling people with amazing musical skills, that his ability was only an incredible memory to repeat a piece of music. Sadly, or maybe not, Tom was unaware of the world around him and was unable to take care of himself. In his time, a doctor declared him as non compos mentis, which translated from Latin means “not having control of one’s mind.” But as the knowledge of autism improved (long after his death), it became clear that Tom was an autistic savant. Hence his well-being depended on the goodwill of the Bethunes, who fought over his custody as if he was a piece of land. It is said that Tom always spoke in the third person about himself (e.g., Tom likes that) and that he wasn’t aware of the meaning of anything he was told or what he could repeat. For example, that he was unaware of being a slave, or African-American. What is certain is that he loved music and the piano. 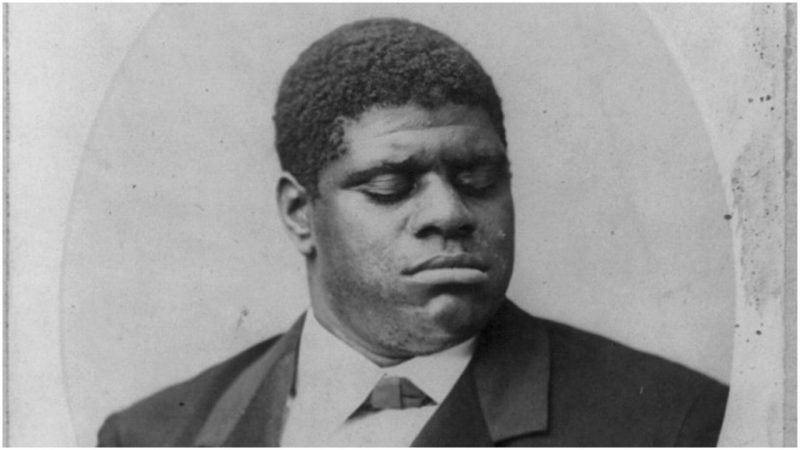 It is also said that Blind Tom was the last legal slave in the United States. He was the highest paid musician of his time. Whoever was his owner arranged the performances for Tom, while he was playing day and night. In his later years, he lived rather quietly and away from the public in New Jersey, with Eliza Stutzbach, the former wife of John Bethune (the son of Tom’s first owner). He died in 1908, at the age of 58. And the saddest part is that no original recordings of Blind Tom exist. His sheet music is saved only by other musicians who performed and recorded his original songs, but there are none of him playing his compositions.